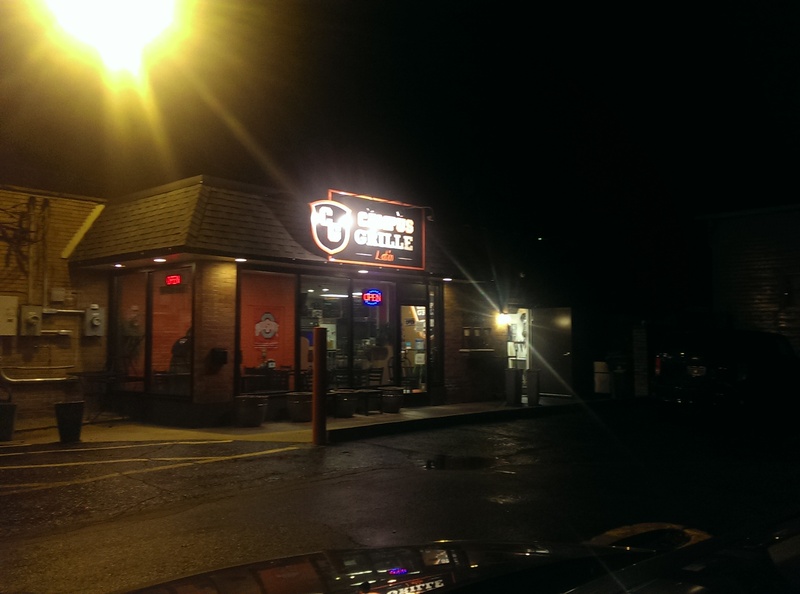 I’d been hearing good things about the Campus Grille, so I knew I had to check it out. The restaurant is located in the old Pizza King building on Seminary Street in Berea. I met some friends there on a dark and rainy night and was happy to have a parking spot so close to the building. 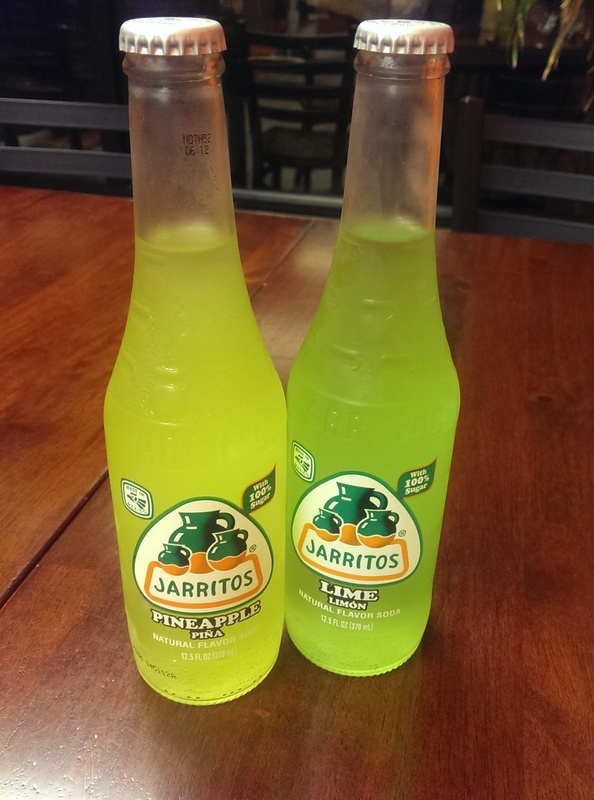 They had a lot of Puerto Rican sodas to choose from, so I ordered the Pineapple and the Lime sodas. Both were good, but I preferred the Pineapple soda. 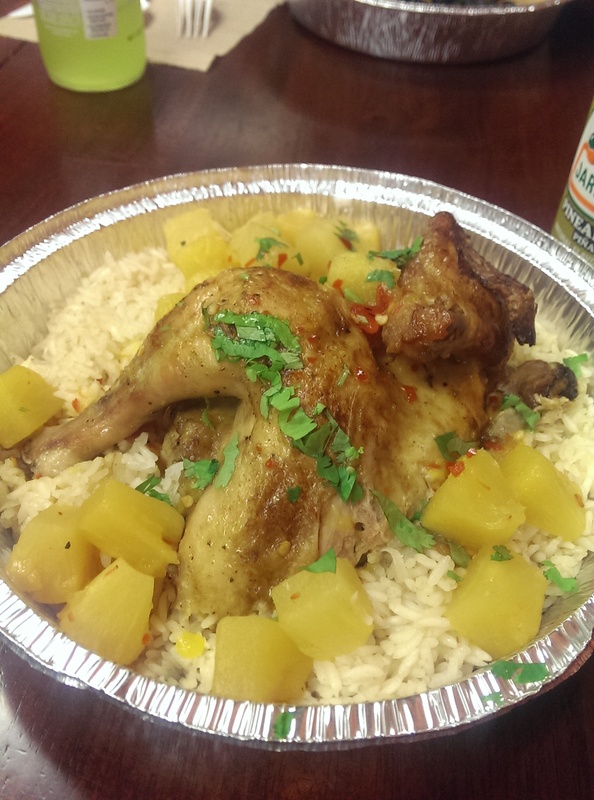 It also paired really well with my Coco Tropical, which is a split rotisserie chicken served over coconut rice and topped with spicy pineapple and mango chutney. The chicken was perfectly cooked, the coconut rice was delicious and the chutney had a little kick to it but not too much that I couldn’t enjoy it. It was also a lot of food, and I ate the other half for lunch the next day. 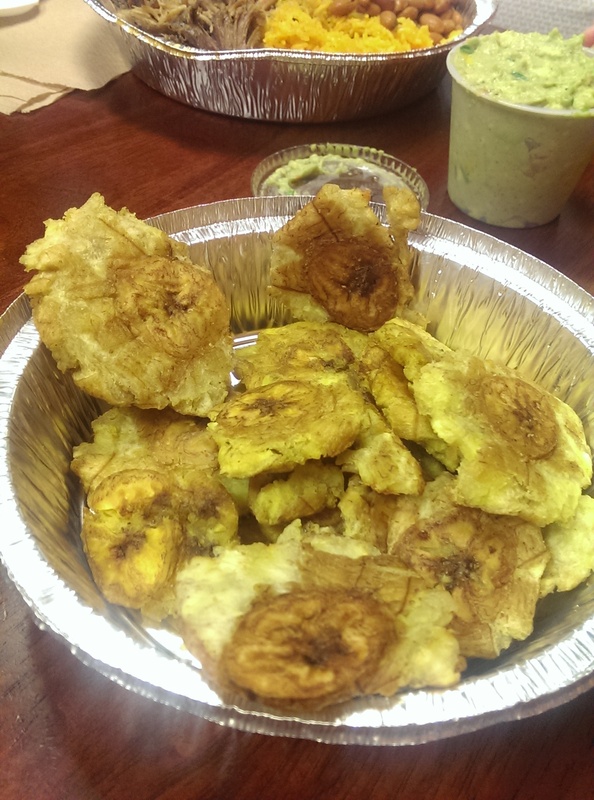 One of my friends ordered the tostones (fried plantains) and guacamole and let us try some. It also happened to be the last order of the night because they ran out after our order. The plantains were nicely fried and not too greasy. They were definitely enough to share among those of us at the table. I was able to try a bite of my friend’s vegetarian mofongo, and I LOVED it. So much so that I went back and ordered one for myself. I actually prefer it over the mofongo at Rincon Criollo. It is really flavorful. The plantains are fried and mashed with garlic and chiccarones (although I think they omitted those in the vegetarian mofongo too). I didn’t even miss the pork in the vegetarian mofongo, but it sure was nice in the one I ordered. 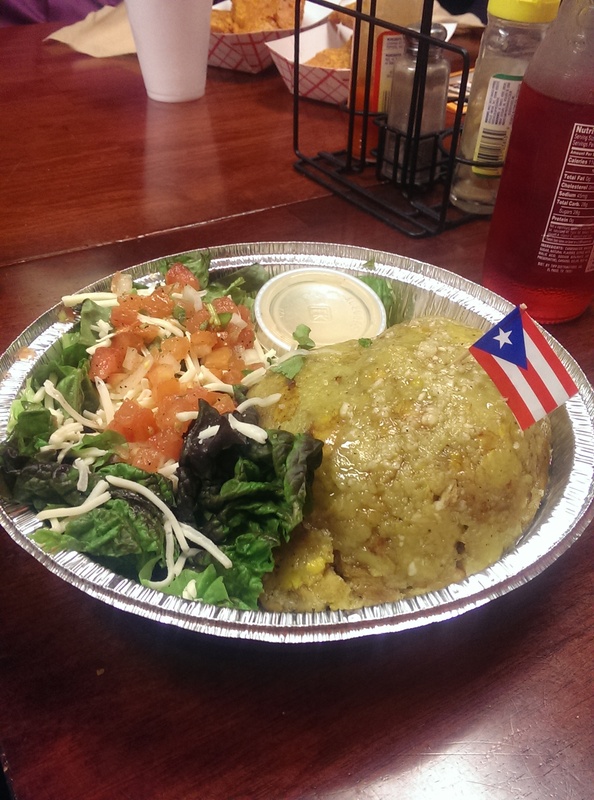 Mofongo is their most popular dish, and I can see why. It is served with a side salad, and the greens were fresh. 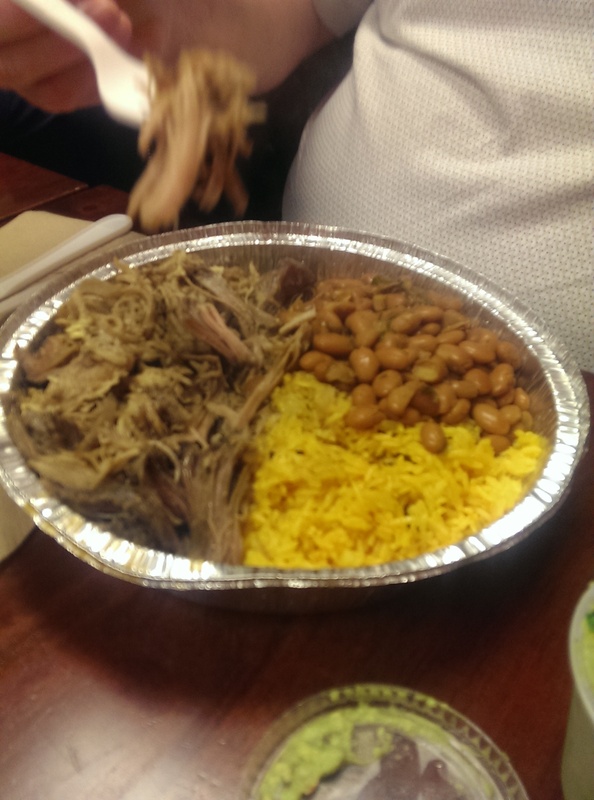 Another friend ordered the pork shoulder with yellow rice and Spanish-style beans. He ate the entire thing, which was pretty amazing. It must have been good. The restaurant is vegetarian-friendly and can customize most of their dishes to accommodate vegetarian and gluten-free customers. 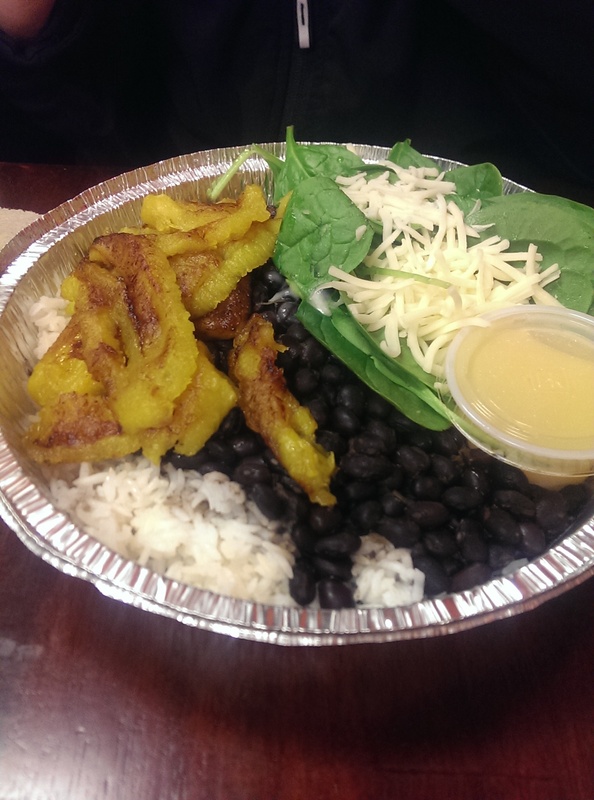 One of my friends ordered the Farmer’s Plate, which features lime-infused cilantro rice, black beans, baby spinach, tostones & Monterey Jack cheese. She also enjoyed it and took home leftovers. The empanadillas also looked good, and they are available savory or sweet. The desserts are a little pricey, but they are big enough to share or to take home and eat for several days. One of my friends did just that, bringing a flan home. I highly recommend the Campus Grille. 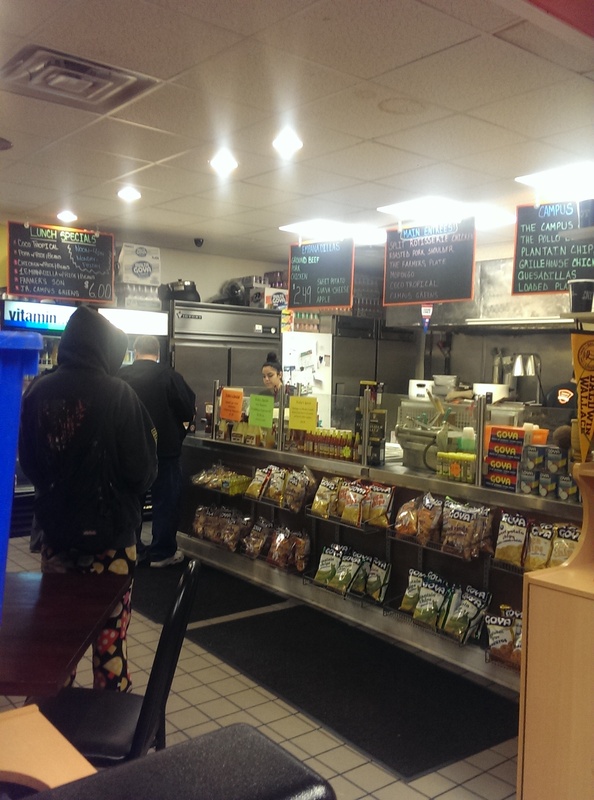 The ambiance leaves a little to be desired, but the food is fresh and delicious as well as inexpensive and plentiful.